The Wisconsin State Herbarium at the University of Wisconsin–Madison has discovered a collection of more than 2,000 mosses from the turn of the 20th century, lost to time in a cabinet inside Birge Hall, where the herbarium is housed. The mosses were collected by former herbarium curator Lellan Cheney throughout Wisconsin and by other collectors at Isle Royale in Lake Superior. Since mosses are particularly sensitive to environmental changes, these rediscovered specimens provide valuable information on the Wisconsin and Great Lakes ecosystems from a time of increasing industrialization and urbanization. The mosses will be added to the more than 1.3 million specimens of the herbarium collection for researchers to study. Renovations of a third floor Birge Hall office—stuck under a leaky men's room—drew attention to old cabinets that hadn't been touched in years. 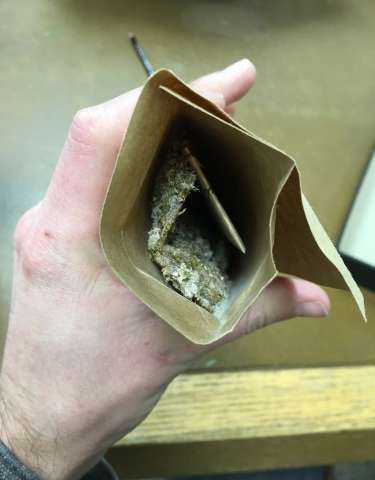 "We had these old computer punch card catalogs that were salvaged from the old days when computer programmers had cards all in files," explains herbarium director Ken Cameron of coming across the lost samples. "They were throwing them out and we had all these mosses shoved in those computer card files." "As we started looking through them we realized they were all one-of-a-kind, which was really exciting," says Cameron. Cheney became the curator of the herbarium in 1891, a position he held until 1903. He collected the 1,500 rediscovered mosses in the 1920s across Wisconsin. As a collector, Cheney was known for his specialization in mosses and lichens. Previous work published by UW–Madison botanists comparing Cheney's lichen specimens from the 1890s with samples from today found that increased urbanization in the Madison area dramatically reduced the number of species of lichens. Similar work could be undertaken with the new moss specimens. "Mosses can be really important indicators of environmental quality, water quality, and air pollution," says Cameron. "Somebody will be interested in looking at these samples and where they were collected." The other mosses come from Isle Royale, decades before the island and surrounding area in the waters off the Michigan Upper Peninsula were made a national park. The team of Stuntz and Allen—about whom little is known—collected the 500 samples in the summer of 1901. The mosses provide an account of the island's environment while major changes, such as the loss of native herbivores, was taking place. "There's a lot of research now being done by ecologists at UW–Madison on how Isle Royale's ecosystem is shifting and changing," says Cameron. "Being able to go back and look at these really old collections could be valuable to people trying to project the future of the island's environment." 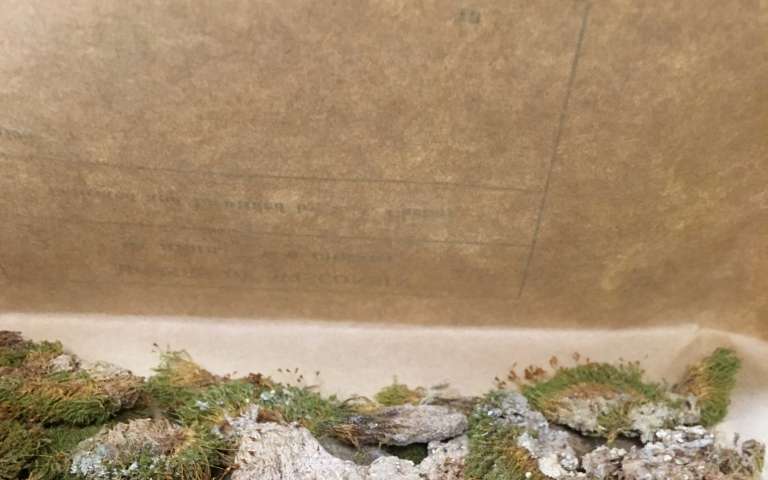 After 168 years, five buildings, and one fire, the Wisconsin State Herbarium occasionally contends with surprising finds hidden in forgotten corners such as these rediscovered mosses. Sometimes special collections arrive by other means. A few years ago, Cameron received a phone call from a teacher in New York, pointing him to a private collection of plant specimens from northern Wisconsin for sale on eBay. When Cameron said he couldn't purchase them, the teacher bought the collection with his own money and donated it. The teacher felt the collection should remain in Wisconsin and be available for research. The herbarium's digital database helped Cameron and other curators quickly confirm the uniqueness of the rediscovered mosses. All of the herbarium's Wisconsin collection has been digitized and they are steadily digitizing the remaining collection. Cameron is the lead researcher of a UW2020 initiative that will coordinate the digital archives from UW–Madison's natural history collections, including from zoology, entomology and geology. At the founding of the University of Wisconsin, the Regents declared that it should house a "cabinet of natural history." The cabinet eventually dispersed to house the growing collections in diverse departments, including the herbarium in botany. "And now we're coming back together, not in a physical way, in a common building, but through a virtual platform," says Cameron of the digital archive project. "160-some years later, the cabinet, the museum of natural history, is re-forming, but in this new 21st century online way."